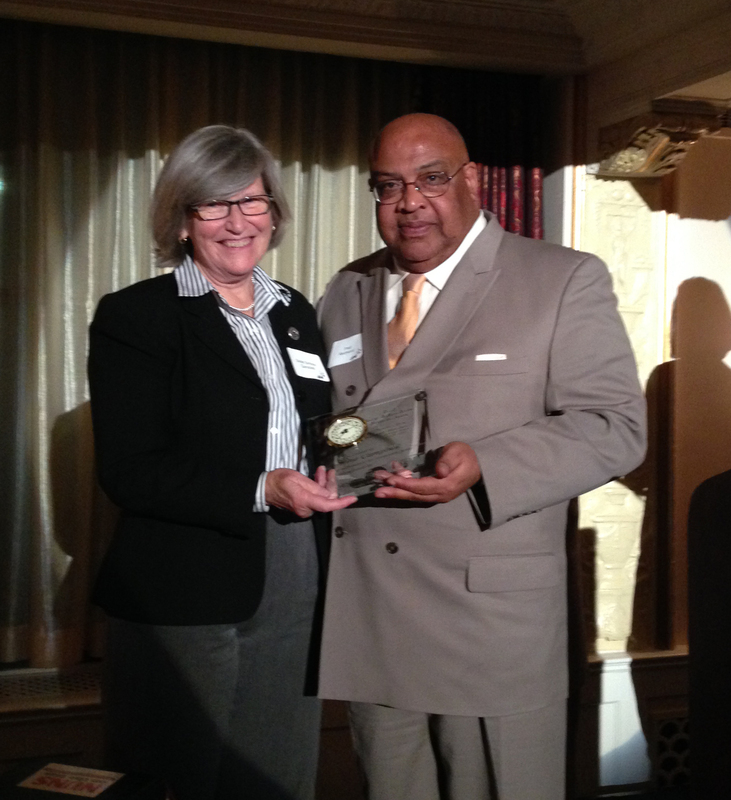 USW International Vice President Fred Redmond and George and Jane Becker Memorial award recipient Sister Simone Campbell. Members of 3657’s Women of Steel attended Just Harvest’s Annual Harvest Celebration Dinner in honor of the late Jane Becker, a Lifetime United Steelworkers (USW) activist, on Tuesday, October 22 in Pittsburgh, PA.
At Tuesday’s event, the keynote speaker award was renamed the George and Jane Becker Memorial Award for the Becker’s service to Just Harvest over the last 25 years. The recipient of this year’s award was Sister Simone Campbell, a religious leader who has dedicated her life to social justice and helping those in need. Jane Becker served on Just Harvest’s board of directors in the early 1990s and was on the planning committee for the Harvest Celebration Dinner in the first few years of the event. In 2006, she was honored, along with her husband, the late USW International President George Becker, with Just Harvest’s Seeds of Justice award – an award presented to individuals or organizations that make an extraordinary contribution in advancing Just Harvest’s mission to eliminate hunger and poverty. In addition to her work with Just Harvest, Jane Becker was a founding member of the Steelworkers Organization of Active Retirees (SOAR) with a strong commitment to mentoring the Next Generation of labor activists. “She was a leader in her own right, a great activist for working and retired men and women who was always willing to volunteer and always willing to advance the cause of workers,” said USW International President Leo W. Gerard. Jane Becker passed away in July and is survived by three sons, George F. III, Gregory and Matthew William; 10 grandchildren; and 11 great-grandchildren. This entry was posted in Committee Updates, Membership Updates, Women of Steel by mrelihan. Bookmark the permalink.